The Bourne Stream flows for 7km from Poole through the heart of Bournemouth to the beach at Bournemouth Pier. 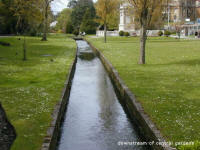 The Bourne Stream Partnership has been formed to improve, protect and enhance this green valley corridor. The stream comprises two main tributaries totalling just over 13km of waterway; of this total length 5.7km is culverted and 7.5m is open stream. 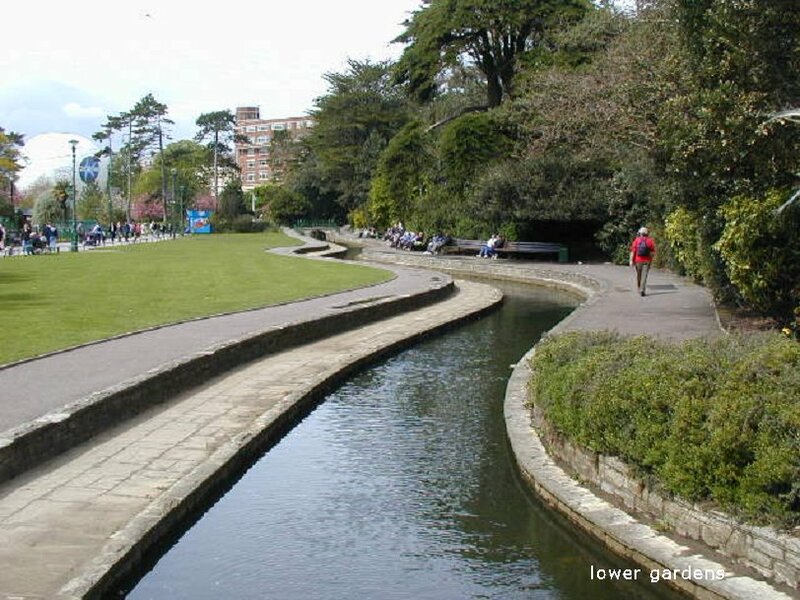 It has a drainage catchment of some 14km², about 70% of which lies within the Borough of Poole. In the upper reaches, the catchment boundaries are approximately defined by Ringwood Road to the west, Wallisdown Road to the north and Ashley Road/Poole Road to the south. In the lower reaches, the catchment width gradually narrows towards the outfall in Poole Bay. The overall fall between the highest levels in the upper catchment to the Poole Bay outfall is approx. 60m, giving an overall gradient of approx. 1:100 which is considered to be steep. The total extent of industrial development in relation to residential development is small, and is typically light industry. The geology of the catchment area consists of Eocene marine beds referred to as the Poole Formation (formerly known as Bagshot Beds); these are largely sands with seams of pebbles and clay overlain with gravels high up the valley. The majority of the upper and middle catchment is of national and international importance, designated in 1985 as a Site of Special Scientific Interest (SSSI). It is also a component of the Dorset Heathlands Special Protection Area (SPA), a RAMSAR site (internationally important wetland), and candidate SAC due to its heathland flora and fauna which supports all six British reptiles, including the endangered Sand Lizard and Smooth Snake. 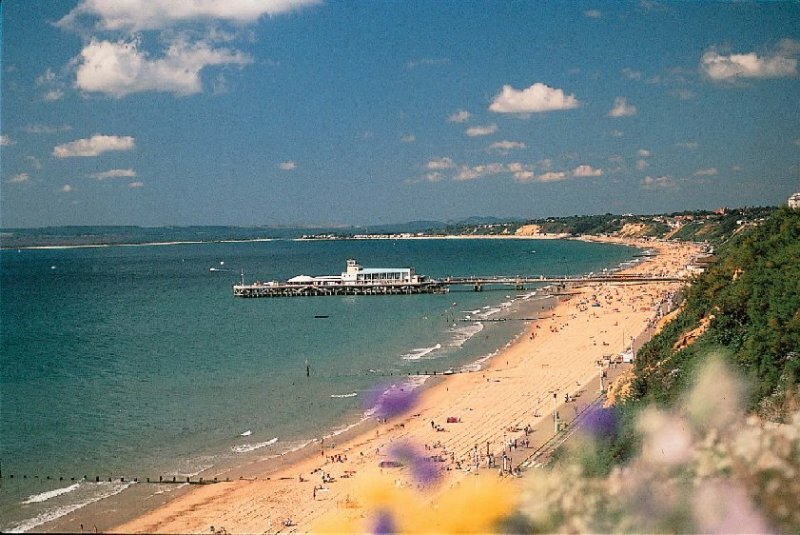 The lower catchment is of high amenity value with public access to the formal English Heritage Grade II* listed gardens and Bournemouth Pier bathing beach. A number of improvements have been introduced to the stream here, including the introduction of weirs to improve aeration, channel improvements and the encouragement of a wetland habitat area. The stream is fed from a number of sources but there is little documentary evidence and the actual origins of some are unknown. The head of the stream consists of three culverts emerging from below Ringwood Road; it is believed that one drains Canford Heath, one is fed from the Sembcorp Bournemouth Water works at Francis Avenue and the third is supplied by road runoff. The stream is also fed by natural seeps and flushes, and there are 62 documented surface water discharges to the watercourse. As picturesque as the valley might be, there is a recurring problem with stream water quality which can impact on the bathing beach. 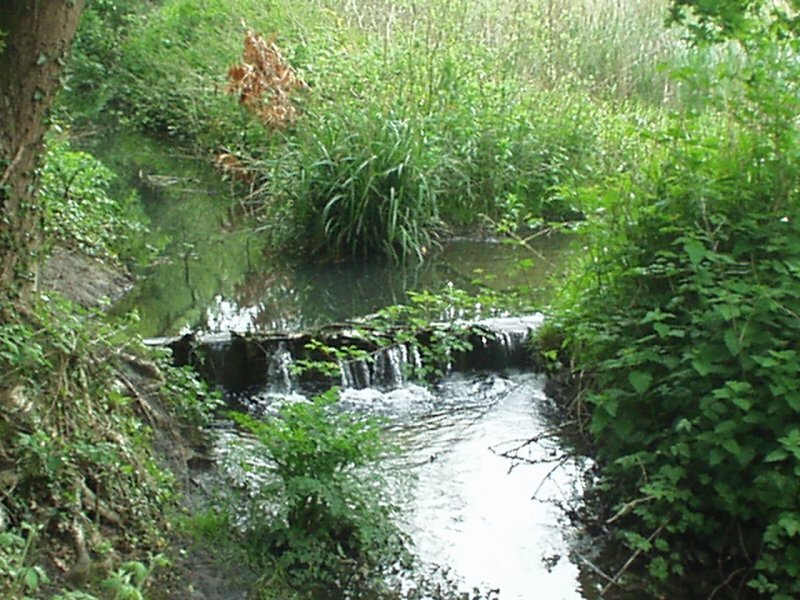 The Bourne Stream experiences problems of diffuse pollution and flooding typical of any stream passing through a densely urbanized area. The high number of impermeable surfaces and lack of vegetation mean that infiltration rates are lowered and runoff is greatly increased, especially during periods of high rainfall. Surface water drainage pipes discharge directly into the stream at regular intervals, as does the system of longitudinal land drains in naturally marshy areas of the gardens. Periods of poor water quality follow severe rainfall particularly after dry summer conditions. The resultant first flush from drainage, and from sewer misconnections, can lead to bacterial contamination of the stream and the bathing beach. It is now known that these first flush events, coupled with the short distance stream water travels to the coast, result in the failure of Bournemouth Pier bathing beach to meet the higher Guideline standards required by the EC Bathing Water Directive 1976. As a result the beach, hugely popular with residents and visitors alike, has failed to win the prestigious Blue Flag in 11 of the last 13 years, despite significant investment in reducing point source inputs. One solution to the problem of bathing water quality would be to extend the outfall pipe at Bournemouth Pier to a high dispersal area further out to sea, where 'brown water' from the stream would be unlikely to impact on bathing water. The cost of such a major project would, however, run into the millions of pounds, and fail to address the issue of stream water quality or wildlife habitat. 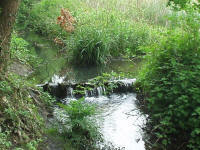 The diffuse pollution problem is being addressed by more sustainable and challenging methods, principally by the installation of in-stream features, such as the lagoons & wetland at Alderney, and the ponds at Coy Pond Gardens to slow down flows, allow sediment to settle and pollutants to degrade naturally. These features are known as SUDS. At the same time there is an on-going initiative by Wessex Water, known as Operation Stream Clean, which aims to reduce sewage pollution entering the stream, and a programme of education and awareness that we hope will help local residents and business to reduce their own impacts on water quality. We are also looking at source controls and end-of-pipe solutions, both of which are intended to reduce the amount of pollution entering the stream. Much of the Partnership's work has been funded by an Environment Agency Research & Development budget; it is hoped that lessons learned from implementing (or retro-fitting) here might be applied to other UK waterways. Bournemouth & West Hampshire Water (1988) 1863/1988 - 125 years of service. BWHW Press.